Where Does Power Come From In Your Golf Swing? We all want to hit the golf ball farther so that we make the game easier. 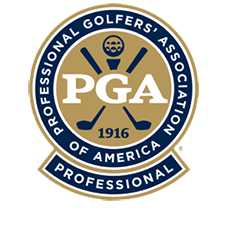 As there’s no doubt one of the main reasons that a PGA Tour Player can score better is because they hit the golf ball with more distance. For example: if you played a golf course that’s 7,200 yards, and had as consistent a golf swing as the PGA Tour Player … though were limited to your current distance … he would squash you like a grape. Why? Because it would take that Player less strokes as they may only need to hit a 7 iron to some greens … when you’re hitting a hybrid. Why Are You Using Your Weak Hand For Power? “It’s all in your left arm. I need to stop using my right hand. My right hand is ruining my golf swing!” That’s all we hear from right-handed Golfers coming to see us. Everything these right-handed Golfers have told us is that the power comes from their left side. And the sad part is that a right handed Golfer saying they’re using too much right hand is a statement that is way off-base and just underlines and boldfaces why Golfers continue to struggle.